There has been much and sometimes rancorous debate in recent years about the scope of the rôle played by the United States of America on the geopolitical stage. Since thirteen very different colonies intertwined their destinies and declared independence as a single, unified nation, the nature of that nation’s mandate to foster the cultivation of its ideals elsewhere in the world has fostered division in America and abroad. History abounds with instances of American intervention in global affairs, regarded by some observers as actions necessary to the preservation and propagation of democracy and by others as gross abuses of America’s influence. 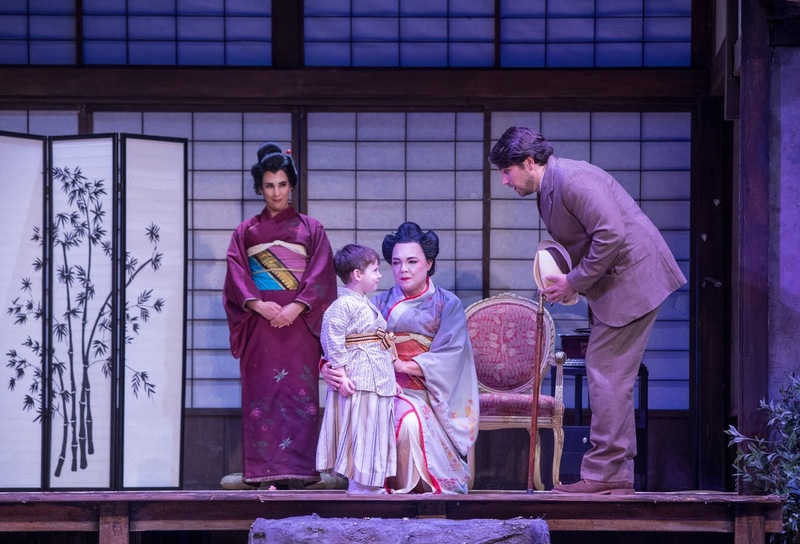 A fatal incarnation of the treacherous business of hearing what one wants to hear in pivotal discourse that afflicts modern society is the spark that ignites the tragedy of Giacomo Puccini’s Madama Butterfly. 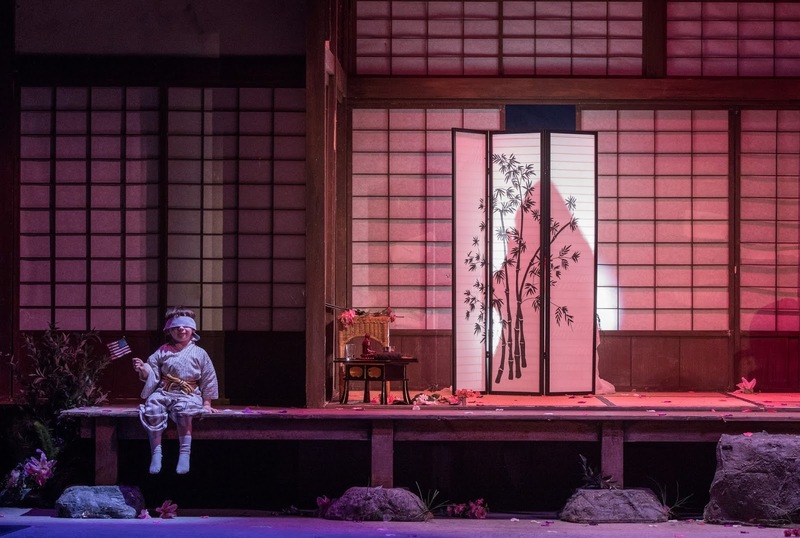 Mesmerizingly staged in UNCG Auditorium by Greensboro Opera, the cultural conflict between Cio-Cio-San’s Japan and B. F. Pinkerton’s America hurled Madama Butterfly into the fractured political climate of the Twenty-First Century with heartbreaking frankness. Unsuccessfully premièred at Milan’s Teatro alla Scala in February 1904, subsequently revised, and reintroduced to acclaim in Brescia three months later, Madama Butterfly continued the fascination with women in dire circumstances already evident in Puccini’s Manon Lescaut and La bohème. The ambitious Manon is felled by the harsh consequences of her own caprices, and the sweet-natured Mimì is betrayed by her body’s frailty, but, on the surface, Cio-Cio-San seems to retain a measure of control over her destiny. Beneath the ritualized veneer of traditional Japanese honor, her death is as much a result of judgment and disease as those of her Puccinian sisters, however. Abandoning the relative comfort of the life she knew in her first fifteen years, a life with many difficulties, Cio-Cio-San clings to an illusion of her own making. To Pinkerton, she is a plaything; an object of infatuation, without question, but a living trinket to be stored away with souvenirs of more boisterous times. For Cio-Cio-San, Pinkerton is a savior in Navy whites, at once husband, idol, and surrogate father. Blinded by his pursuit of fleeting pleasure, he realizes only after her wings are broken that his butterfly’s spirit is too pure to have recognized his caddishness. Ultimately serving as the instrument of retributive justice for her offenses against her principles, sacrificing herself in order to spare her child the indignity of her disgrace, Cio-Cio-San is more a sister to Bellini’s Norma than to Manon Lescaut and Mimì. Under the guidance of the company’s General and Artistic Director David Holley, Greensboro Opera’s production of Madama Butterfly focused on the opera’s timeless simplicities without overlooking its carefully-wrought, sometimes troubling intricacies. Himself an accomplished Pinkerton, Holley brought to his direction of the opera practical knowledge of both score and libretto, animating the characters’ exchanges with deep understanding of conversations in which he has participated. 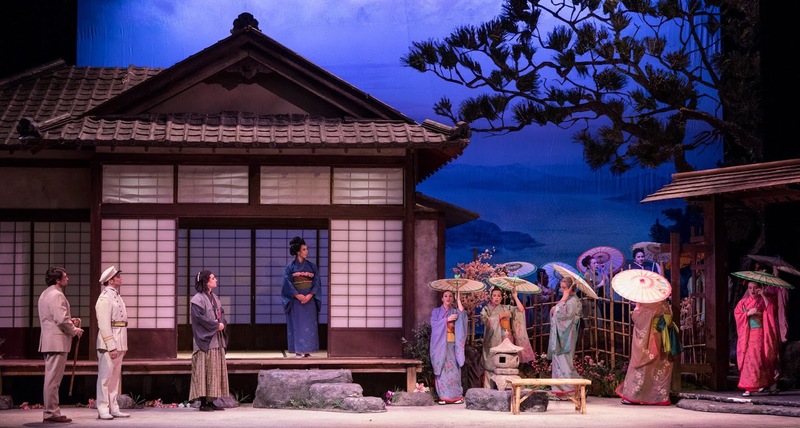 The essential elements of Madama Butterfly’s plot render it a piece that too often falls victim even in thoughtfully-conceived productions to tired clichés and stereotypes. Though a well-meaning product of its time, the broken-English dialogue for Cio-Cio-San in Puccini’s source for the plot of Madama Butterfly, John Luther Long’s short story ‘Madame Butterfly,’ is embarrassingly primitive, more Mikado than Meiji. As in all of his work for Greensboro Opera and UNCG Opera Theatre, Holley’s direction of Madama Butterfly elucidated a myriad of details that, like pieces of a puzzle, assembled to produce an exceptionally faithful account of the opera. In Holley’s handling, Puccini’s and his librettists’ dictates were fully honored, proving, as Holley’s productions invariably do, that a venturesome musical imagination is inspired, not inhibited, by adherence to the score. 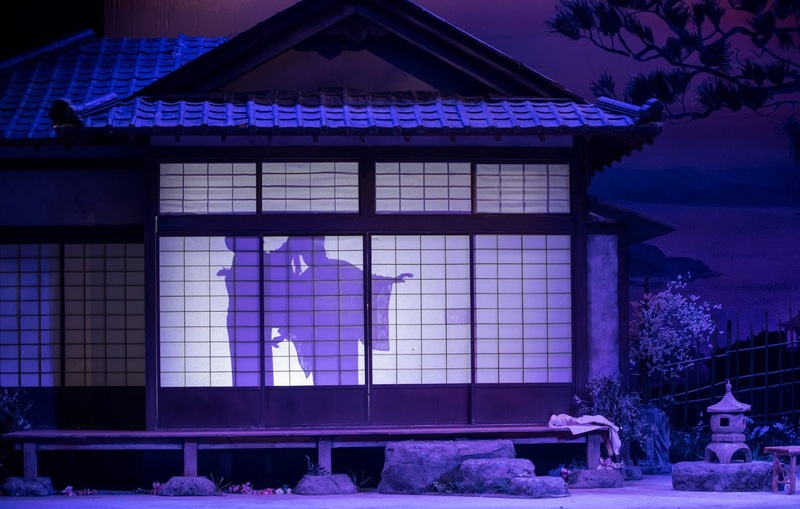 Designed for Sarasota Opera by David P. Gordon and constructed and painted by Center Line Studios, the sets for Greensboro Opera’s Madama Butterfly were evocatively utilitarian, the transformable house rented by Pinkerton for 999 years as diverting as Goro describes it to be. Jeff Neubauer’s lighting designs and technical direction reliably centered attention on the focal points of the drama, and stage manager Shelby Robertson and assistant stage managers Abigail Hart and Eliya Watson ensured that everything and everyone appeared where and when the production’s blocking prescribed. The costumes by Malabar Limited were tastefully colorful and approximated stylistic authenticity without unduly infringing upon the physical demands of singing. The sandals worn by Cio-Cio-San in Act One were an exception: obviously uncomfortable and impeding the singer’s ease of movement, the shoes were an unnecessary obstacle to the soprano’s performance. Trent Pcenicni’s wigs and makeup designs were also credibly Japanese but manageable. 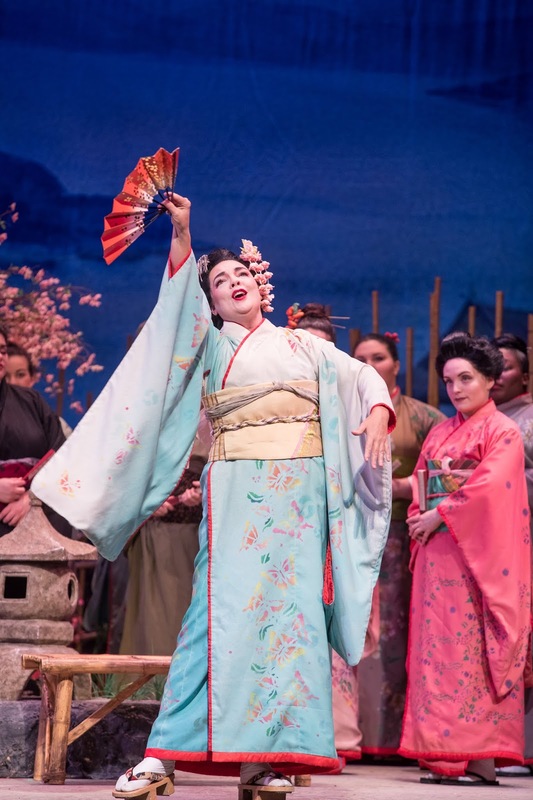 These visual elements of Greensboro Opera’s Madama Butterfly harmonized with Holley’s direction, transporting the audience to a Nagasaki of idealized natural beauty that contrasted portentously with the opera’s raw emotions. Musically, Madama Butterfly is a far more sophisticated, distinctly modern score than it has sometimes been admitted to be. 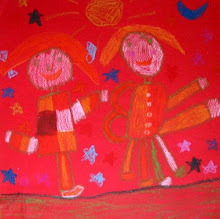 There are passages of remarkably innovative orchestration not unworthy of comparison with the music of Igor Stravinsky. Much of Puccini’s writing for woodwinds is intoxicatingly sensual, strikingly so in the duet for Cio-Cio-San and Pinkerton that ends Act One, heightening the exoticism and eroticism of the music. Conductor Steven Byess paced the performance with intelligently-chosen tempi that maintained momentum and allowed passages of particular significance to exert their dramatic gravity without exaggeration. Strangely, though, the tension that Byess carefully kindled throughout the performance dissipated in the opera’s final scene, causing Cio-Cio-San’s suicide—one of the most harrowing scenes in opera—to seem disappointingly anticlimactic. Balances between stage and pit were also often problematic: many of the singers’ lines disappeared into the orchestral cacophony. The auditorium’s acoustic may account for this, in part, but similar issues were not audible in Greensboro Opera’s production of Bizet’s Carmen in the same venue. Under the direction of chorus master James Bumgardner, the choristers sang strongly, not least in the arduous Humming Chorus that bridges the transition between Acts Two and Three, and plausibly portrayed the denizens of Cio-Cio-San’s Nagasaki. Regrettably, it was a rough evening for their colleagues in the pit, instances of ragged ensemble, wiry string tone, and mistakes by the wind players compromising the musical integrity of the performance. There were plentiful passages that were splendidly played, nonetheless, and neither the professionalism nor the preparedness of the orchestra was ever doubted. Their popularity encourages the assumption that Puccini’s operas are not as demanding as other operas in the standard repertory, but this is an opinion with which anyone who has performed Madama Butterfly would surely disagree; and one that the sporadic flaws in Greensboro Opera’s characteristically well-rehearsed performance of Madama Butterfly contradicted. A most welcome hallmark of Greensboro Opera productions under David Holley’s leadership is the high quality of the ensembles that he assembles, his shows treating Triad audiences to performances featuring artists in supporting rôles who are often better qualified than the singers engaged for leading parts by other companies. The value of this is perhaps easy for the casual spectator to underestimate, but the singers’ involvement is of even greater importance than a production’s scenic elements to the creation of a believable setting for the drama. This is especially true of Madama Butterfly, in a performance of which the impact of the opera’s tragedy relies upon the context established by the supporting players. The stark reality of the cultural divide that ultimately claims Cio-Cio-San’s life roared into UNCG Auditorium in her uncle’s chilling denunciation of her conversion to Christianity, voiced with startling power by bass-baritone Donald Hartmann. This Zio Bonzo was unmistakably a scion of a way of life in which there is no sin greater than deviation from convention, and Hartmann’s sable-hued voice projected the character’s castigation of Cio-Cio-San with the devastating might of the Unzen volcano. Portrayal of the matriarchal contingency of Cio-Cio-San’s family was entrusted to mezzo-soprano Kayla Brotherton as her mother, soprano Clarice Weiseman as her aunt, and soprano Leanna Crenshaw as her cousin, each of whom enriched the ensemble, as did baritone Brian Kilpatrick’s depiction of Cio-Cio-San’s uncle ​Yakusidé. Baritone Christian J. Blackburn authoritatively represented the Chrysanthemum Throne as the Imperial Commissioner, singing with vocal assurance and fittingly ceremonial bearing, and Jacob Kato shone in the Registrar​’s brief moment in the spotlight. ​Ryan Hill was an appropriately regal Yamadori, singing the earnest suitor’s music without the unbecoming whining often heard in the part. Looking like a figure who emerged from a Merchant Ivory film, Katie Horn-Pershall lent Pinkerton’s ‘sposa americana’ Kate an unusual sensitivity, diluting the poison of her cruel question to Sharpless about the veracity of Cio-Cio-San’s promise to surrender her child to the Pinkertons’ care. Young Samuel Pershall earned his ovation for his star turn as that child, a feisty lad who in this performance endearingly embodied his father’s—Pinkerton’s, that is—untamable personality. The marriage broker Goro was in tenor Jacob Ryan Wright’s portrayal more of an opportunistic meddler than a deplorable schemer, the sole motivation of his machinations being the acquisition of American greenbacks. He was clearly thoroughly pleased with his own ingenuity when educating Pinkerton on the tricks of his newly-leased house, and his commentary about Cio-Cio-San’s family history was the chatter of the community gossip rather than the venomous colloquy of a calculating villain. There was no spite in this Goro’s amused reaction to Cio-Cio-San’s naïveté, and the impetus that fueled his enthusiastic endorsement of Yamadori’s wooing was the hope of receiving a substantial financial reward for facilitating an advantageous liaison. There is nothing in either score or libretto to suggest that Goro’s concern for Cio-Cio-San transcends her commercial usefulness to him, but, ably voicing the part without sneering and derision, Wright interpreted Goro as a man whose avaricious maneuvering was not indicative of heartlessness. This Madama Butterfly was incredibly fortunate to have in mezzo-soprano Stephanie Foley Davis as fine a Suzuki as has graced any performance in the opera’s 114-year history, on stage or in a recording studio. Suzukis capable of producing all of the notes required by the part are not uncommon, but Suzukis who produce all of the notes within the rôle’s compass with the ease and tonal beauty that Foley Davis wielded on Friday evening are extraordinarily rare. In Suzuki’s nervous patter in the opera’s first scene, the mezzo-soprano articulated each note clearly, and her diction allowed every word of the part to be understood. The heartfelt directness with which this Suzuki delivered her prayers was profoundly touching: when she asked her gods to end Cio-Cio-San’s weeping, the character’s sorrow cascaded through her voice. Pushing her apprehension aside, she joined Cio-Cio-San in a mellifluously girlish performance of the Flower Duet. Realizing in Act Three that Pinkerton has returned with his American wife in order to take custody of his child, Foley Davis’s Suzuki succinctly imparted her dread and despair in her unaffected statements of ‘povera Butterfly.’ The grief that flooded Foley Davis’s singing and acting of Suzuki’s final interaction with Cio-Cio-San was overwhelming. So absorbing was her performance that Suzuki’s response to Cio-Cio-San’s fate was as wrenching as the heroine’s demise. Foley Davis’s vocalism was nothing short of magnificent in a rôle that often endures mediocrity. Few of even the greatest Cio-Cio-Sans have been partnered by a Suzuki of this caliber. 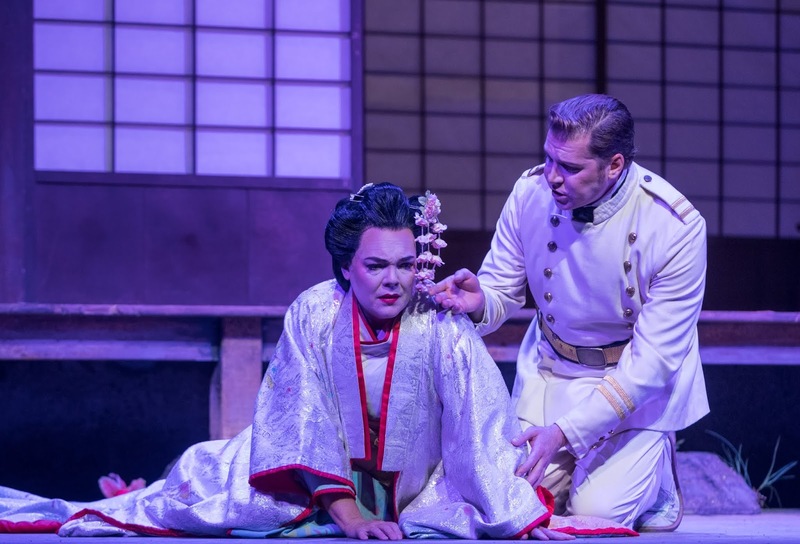 A favorite with Greensboro Opera audiences, baritone David Pershall returned to the Gate City to portray the American consul Sharpless in Madama Butterfly. 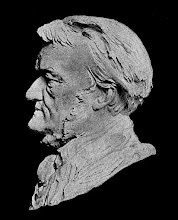 Though his credentials in pieces similar to Madama Butterfly include performances of Schaunard in La bohème at the Metropolitan Opera and a recent rôle début as Silvio in Leoncavallo’s Pagliacci at San Francisco Opera, Sharpless offered Pershall few chances to display the best qualities of his artistry. His handsome voice traversed Puccini’s music with considerable bravado, but there was little in the rôle that elicited the resourceful interpretive scrutiny of which this gifted singer is capable. Sharpless’s exasperation with Pinkerton’s libidinous shortsightedness was palpable in Pershall’s performance, but this was not readily distinguishable from his attitude towards Cio-Cio-San, which communicated annoyance more than empathy. That is not an invalid reading of the part, especially from a perspective critical of American imperialism, but Puccini’s score conveys more compassion than irritation. There was tenderness in the scene in which Cio-Cio-San counters the consul’s tormented confirmation of Pinkerton’s abandonment by revealing her child, and Pershall voiced his part in the ensemble with Suzuki and Pinkerton in Act Three with increased immediacy. As the buffer between Cio-Cio-San’s innocence and Pinkerton’s duplicity, Pershall’s Sharpless was only partially effective, but the baritone’s singing deftly met all of the music’s requirements. Lieutenant Benjamin Franklin Pinkerton is perhaps a model sailor when at sea, but his behavior as a ‘Yankee vagabondo’ in port dishonors his uniform and his country. He is one of opera’s most loathsome characters, but the most despicable Pinkerton is one who permits the audience to experience the charm that so enchants Cio-Cio-San. Vocally and histrionically, the performance of Greensboro Opera’s Pinkerton, tenor Cody Austin, was engaging but frustrating. The needed vocal and temperamental ranges were present, but the voice was not ideally controlled. Inspecting Goro’s handiwork in the opera’s opening scene, Austin’s Pinkerton was appropriately nonchalant, and the tenor managed the onslaught of top B♭s in his arias ‘Dovunque al mondo lo Yankee vagabondo’ and ‘Amore o grillo, dir non saprei’ without incident. His upper register was generally solid throughout the performance, but the accuracy of his intonation faltered in the lower reaches of the music. In his arias and in the expansive love duet with Cio-Cio-San, Austin’s phrasing was occasionally disjointed. 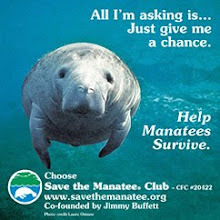 Vocally, he was most confident when declaiming Pinkerton’s vehement repudiation of Cio-Cio-San’s admonishing relations. Austin’s most nuanced singing of the evening was reserved for the ensemble with Suzuki and Sharpless and the Act Three aria ‘Addio, fiorito asil.’ In these numbers, the line soared, and the voice’s metallic patina gleamed. Pinkerton’s impetuosity suited Austin’s emphatic style of singing, but the cumulative efficacy of his portrayal was compromised by vocal instability. A noteworthy Puccinian whose portrayals of Tosca, Suor Angelica, and Minnie in La fanciulla del West have been justly lauded, soprano Jill Gardner renewed her acquaintance with Cio-Cio-San in Greensboro Opera’s Madama Butterfly, and hers was an interpretation of this singularly daunting rôle that was equally thrilling and affecting. From the start of Cio-Cio-San’s entrance music, ‘Ancora un passo or via,’ Gardner’s mastery of Puccini’s musical language was apparent in her phrasing, and she greeted the beginning of a new life with her American husband with a radiant interpolated top D♭. Evincing the guilelessness that the fifteen-year-old Cio-Cio-San should exude is beyond the capabilities of many sopranos, but Gardner believably evoked the girl’s youth without resorting to imprudent antics. The ambivalent doubt and burgeoning passion of the love duet were spiritedly bespoken by the soprano’s expressive singing, and her triumphant scaling of the heights of Puccini’s melodic lines was undermined only by a marginally flat top C at the duet’s conclusion. In Act Two, hoarseness crept into the lower octave of Gardner’s voice, and she toiled valiantly to focus tones and retain projection. A few phrases strayed in the direction of Sprechstimme, but this is not without precedent: Margaret Sheridan, despite being on excellent form, employed similar effects in the performance recorded by Teatro alla Scala for Voce del padrone in 1929 - ’30, and she is known to have been cited by Puccini as a favorite interpreter of the rôle. Gardner sang ‘Un bel dì vedremo’ stirringly, and she emphasized Cio-Cio-San’s dignity in the interview with Sharpless. Injured by the consul’s words, her voicing of ‘Che tua madre dovrà’ was emotionally crushing. The exhausted joy of her sighting of Pinkerton’s ship in the harbor was followed by a performance of the Flower Duet in which the voice veritably waltzed through the theatre. Brought by her overnight vigil to the brink of collapse, Gardner’s Cio-Cio-San sensed immediately upon seeing Kate Pinkerton waiting at the garden gate that the sole reason for their shared husband’s return was claiming his son. With that realization, the chill of death overtook her, and Gardner’s vocalism assumed an icy precision until the child’s unexpected appearance unnerved the fiercely protective mother, inciting an incendiary exclamation of ‘Tu? tu? piccolo Iddio.’ In Gardner’s portrayal, Cio-Cio-San’s death was agonizingly direct: hesitant for only an instant, she approached her work as executioner as solemnly as she esteemed her responsibilities as a mother. Gardner’s performance was a tremendous demonstration of a consummate artist’s perseverance. Integrating periodic vocal struggles into her depiction of Cio-Cio-San’s plight, Gardner made the girl’s suffering and sacrifice all the more moving. Some musicologists continue to delight in ridiculing Puccini’s operas and the devotion they inspire among many opera lovers. Reviewing a 1911 Metropolitan Opera performance of Madama Butterfly in which Emmy Destinn sang the title rôle, a critic whose words have outlived his name wrote that ‘Puccini’s works, now that Madama Butterfly has become one of the most frequently-repeated operas of the season, are certainly maintaining the popularity which many persons have insisted they have deserved.’ Many persons have indeed insisted that Puccini’s operas merit the frequency with which they performed and have reinforced their advocacy with ticket purchases. Listening to the orchestra’s representation of the blade tearing Cio-Cio-San’s life from her body as Pinkerton calls to her cannot be described as pleasure, but Greensboro Opera’s performance of Madama Butterfly afforded the pained pleasure of shedding tears for a Cio-Cio-San who captivated and broke the heart. 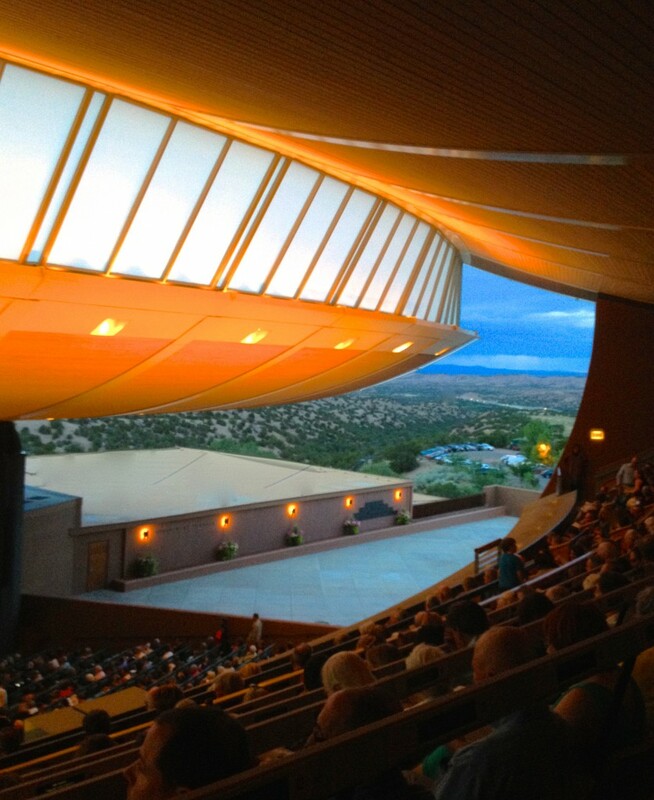 For all of its complications, the appeal of Madama Butterfly truly is that simple.